Call 1800 623 223 and speak to an Aarons Removals consultant or fill out an enquiry form and we’ll get back to you within 24 hours. 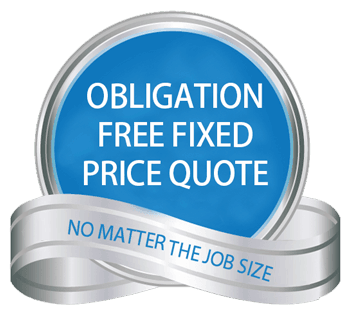 Our quotes are obligation and cost free. Your quote will stipulate the timeframe of validity or ask. The busiest times for all moving companies coincide with school holidays and the summer months especially from November to March. The simple answer? Allow as much time as possible. Interstate removals and removals to New Zealand and the UK will obviously take longer to organise than container removals and furniture removals in Perth. If you are lucky enough to have some flexibility in your delivery dates let us know as we will need to schedule packing, removalists, vehicles, containers and shipping. See our moving checklist for handy information. Yes. We can deliver to any state in Australia. Can you move single items, such as a piano or pool table? Yes. No job is too big or small. Furniture storage is also available for these items. Yes. We offer interstate and international removal of cars. No personal items are able to be moved inside the vehicle so please ensure that they are packed up and included with the removal. Can my pets come too? Yes. When moving pets overseas regulations between countries vary extensively and your moving consultant will work through this with you. How do I pack my flat screen TV? If you still have the box the television originally came in you can use this. We supply cartons for televisions and can pack them for you if needed. Can I pack my own boxes? Yes. We can provide you with moving-grade boxes or give you advice if you prefer to have everything under your control. However, be aware that breakages in owner-packed boxes are not covered by insurance. Cartons can be purchased and delivered direct to your home. Under Australian law, removal companies do not have to carry insurance. Fully comprehensive insurance for all consignments although we do have public liability insurance, third party property and motor vehicle insurance, and Carriers Legal Liability Insurance for our protection. This insurance does not cover your goods against accidental damage while in transit. Where do you move internationally? Aarons Removals specialises in international removals to the United Kingdom and New Zealand, we can transport your goods by sea or air, and take care of the paperwork too. We can do most other locations around the globe. What do I need to know about removals to the UK and New Zealand? Simply contact us with details of where you’re moving, the date and the items to be moved. We’ll take care of the packing, freight, customs, delivery and unpacking. Are there any prohibited items I can’t move? Yes. These generally include flammables, dangerous chemicals, gas bottles and firearms. There are strict regulations on moving plants to Western Australia and Tasmania. What is the minimum time I can store my goods? There is no minimum storage period. Will my belongings be safe in storage? Yes. Our storage facilities have regular plumbing, electrical and pest management as well as satellite monitored security, temperature control and high quality furniture wraps to ensure against damage. When and how do I pay for the removal service? This will be detailed in the quote that we give you. For interstate removals you will be expected to pay upon uplift at the time the goods are loaded onto the truck. Internet bank transfers should occur at least three days prior to the removal.